Huntington Beach Reiki was created to spread reiki and healing to all that need it. Huntington Beach Reiki helps the community by offering free reiki programs at local cancer centers, hospitals, hospice, senior centers, Veterans center, and horse and animal rescues. We offer all our reiki sessions and classes for a donation. We also offer, meditation and Sound healing classes. Learn Reiki and join our team of practitioners and volunteers. Huntington Beach Reiki now offers Oncology Reiki practitioner certification. 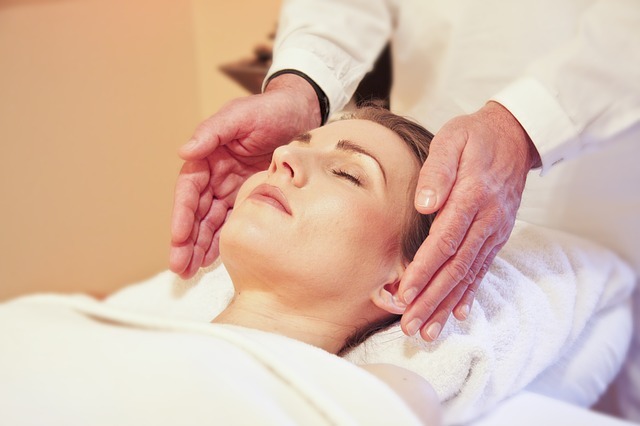 All Reiki Certification Classes are provided in an in person class setting. The class material comes from the Manuals developed by Huntington Beach Reiki, The International House of Reiki and The International Center for Reiki Training.(ICRT), . All classes offer a teaching style that combines education, demonstration, and practice sessions so you can feel confident as you develop your Reiki Practice for yourself and others. Free certificate at end of class. Western Reiki classes include Usui/Tibetan Reiki Training as well as techniques developed by Huntington Beach Reiki and the ICRT. Traditional Japanese Reiki classes include Japanese techniques that can be used daily to ensure a clearer and stronger Reiki channel. These techniques have been missing from Western Reiki for more than 50 years. Usui placed much greater focus on healing the SELF, than is generally done in Western Reiki. You will be taught self-healing meditations based on that used by Usui with his students - an extremely relaxing process. Material comes from the manuals and teachings developed by The International House of Reiki and Mikao Usui. "Kerri is a gifted, kind and compassionate Reiki Master. Her business is trifold: 1) she treats cancer patients for free 2) she teaches various reiki courses on a donation basis (a Godsend considering it's usually $500-$1000 per level) and 3) she does private sessions. She has provided healing to countless animals (horses, dogs, cats) and terminally ill and cancer patients. Please keep in mind, most Reiki Masters of Kerri's calibre charge $150-250. So it's quite amazing that everything Kerri does is on a donation basis or extremely reasonable. If you've tried traditional medicine and you feel it's not a complete treatment, give Reiki a try. It's a great alternative healing method"
"You are wonderful!!!! I do not know a whole lot about Reiki and was just starting to investigate a few months ago but i believe it truly can help. Since you sent that healing power the other day I have felt wonderful. For the firs time I slept more then 2 hours and woke refreshed." "I had a day of radiation, errands, will, etc planned and usually come home exhausted. Not yesterday-- I have more energy then when I was healthy. Things went smooth and well. I was even feeling well enough to go out for a bit to eat after I got home." "I am so thankful you came in to my life to share your talents with and enlighten me. I will make it through this and then with the guidance and help from you continue on, learn this craft and assist others." "You are a precious Angel to spend your precious time on someone you don't even know. My daughter is giving up and thinking that no one can help her, as she has gone thru so many Drs and no help,only gets worse. Thank God for you and others like you. I pray God give you the strength to help her heal, and others." "Thank you so much for sending me the healing last night-- funny I just felt good and happy and content." Huntington Beach Reiki is located 3621 W. MacArthur Blvd. # 110, Santa Ana Ca.